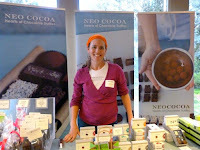 Greetings, and welcome to Day #1 of Chocolate and Thankful Theme Week. In less than a week, we'll be celebrating Thanksgiving in the U.S. And, there are lots of people, places and chocolates to be thankful for this year. 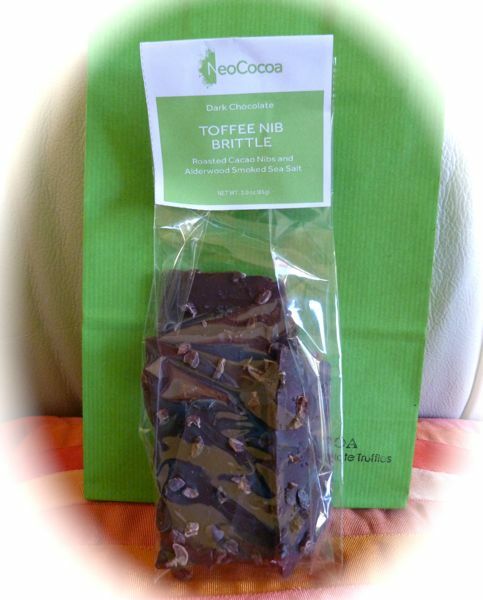 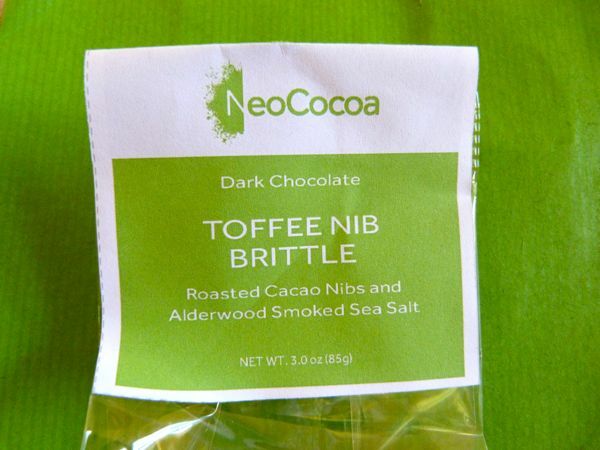 For example, I felt grateful to be able to taste and pick up some great holiday chocolates at the Fall Chocolate Salon last Sunday in San Francisco, including today's Toffee Nib Brittle from Neo Cocoa (San Francisco/El Granada, CA). This brittle was composed of impossibly thin layers of chocolate and toffee, with a sprinkle of crunchy, toasted cacao nibs, and a hint of Alderwood smoked sea salt. 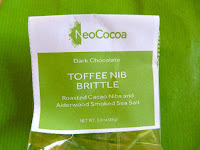 It doesn't get any better than this.